Labour chief Ed Miliband is on a mission to plunge Britain back into a regressive form of class warfare common in the 1970s by rejecting Tony Blair’s pro-business stance and stirring up anti-capitalist sentiment, an entrepreneur and peer claims. 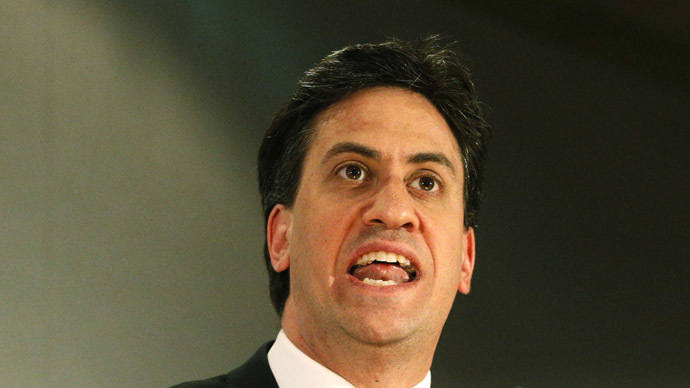 Independent cross bench peer and chairman of Cobra Beer, Lord Bilimoria, said Miliband has revealed a “startling lack of understanding” about how employment and wealth is created in Britain. Bilimoria’s scathing remarks surfaced in an article he penned for the Telegraph on Monday. The business tycoon warned Miliband’s aversion to zero-hour contracts is misguided, as they apply to less than one in forty workers across the UK. He went on to argue that 66 percent of these individuals do not wish to work a greater number of hours anyway. He suggested the party’s political stance in many regards, as expressed since the outset of the general election campaign race, does not offer an “inclusive vision for the country’s future.” This is particularly apparent for the business community, he argued. “To be absolutely clear, this is not a question of party politics. New Labour’s record in government is one of which it should, in many respects, be proud,” Bilimoria said. Bilimoria’s criticism of Labour’s business and economic policy proposals marks the most heated, politicized and outspoken intervention by a senior business figure since Boots boss Stefano Pessina claimed Miliband would prove a “catastrophe” if his anti-business rhetoric played into the party’s policies in government. Labour are currently two points ahead of the Tories, according to the latest poll published by Populus. Speaking as Nicola Sturgeon launched the SNP's manifesto in Edinburgh, Cameron said voters might be “sleepwalking” towards electing a government that will bring Britain into a state of economic ruin. Labour hit back, however, saying the Conservatives are “talking up” the threat of the SNP for their own political gain.